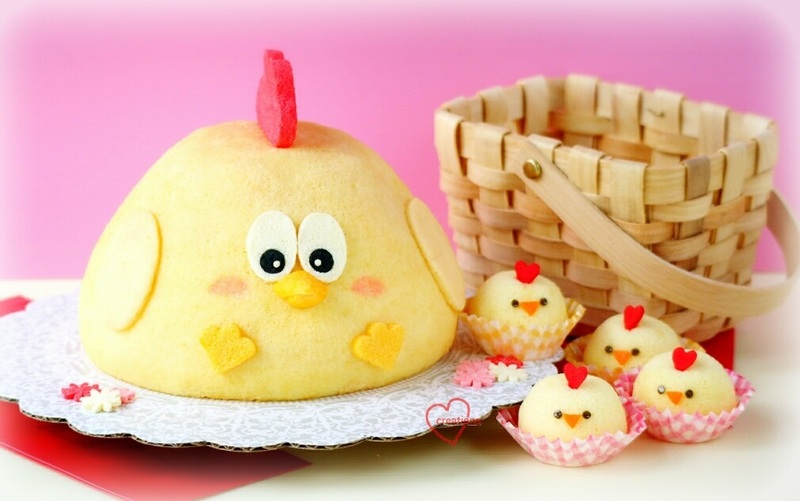 I've previously shared an easy salted egg yolk chiffon recipe and method for making these cute baby rooster cupcakes. 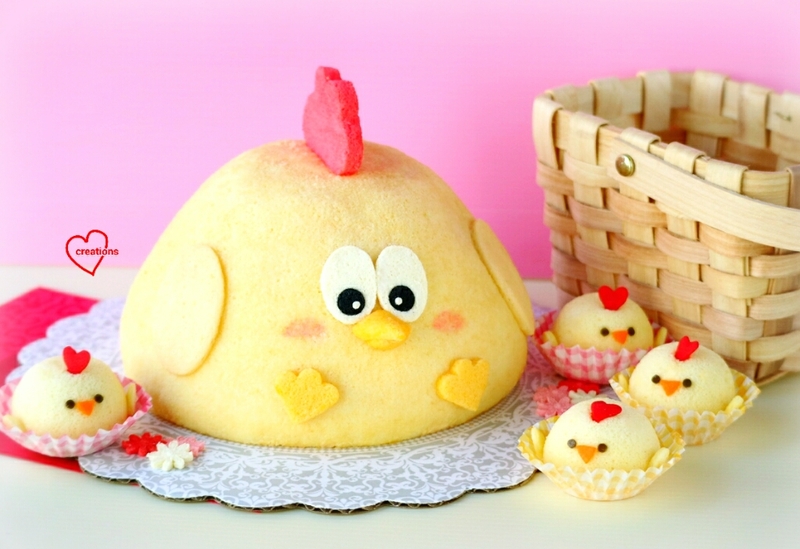 The big 3D rooster was actually made at the same time using the same salted egg yolk recipe but in a doll cake pan. The lady had a special request to have less sweetness, so I reduced the sugar content and salted egg yolk accordingly by 80% so that the flavour would be balanced. The colour looks darker and I think that's normal due to the longer baking time of the big cake in the oven. For the big 3D version, the crown was cut out from sheet cake instead of using hearts sprinkles. The nose was baked for chiffon cake in paper cones instead of sprinkles as well. I used melted marshmallows to stick them on. Here's another family reunion photo of the salted egg yolk rooster family! =D Cheeesse.. I'll be posting slightly faster these 2 weeks to clear the CNY bakes! PS: Something nice to share, the salted egg baby rooster cupcakes were featured on DiscoverKL and says.com ! Another good news, my Deco Chiffon Cakes and other cookbooks eg Creative baking: Chiffon Cakes, Macarons, and another cookbook Bake & Celebrate (in which I'm contributing a kueh bahulu recipe), are all on 20% (and up) discount and Popular now! So here's a good chance to get for your loved ones if you haven't! 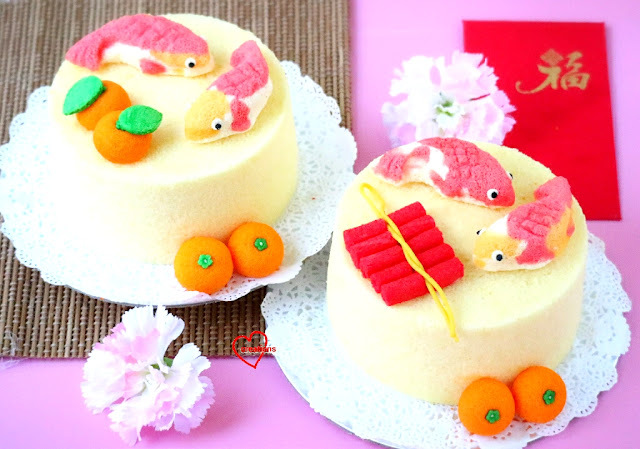 Hop on here for Chiffon cake Koi fishes (and firecrackers)! Something different from the usual agar agar!